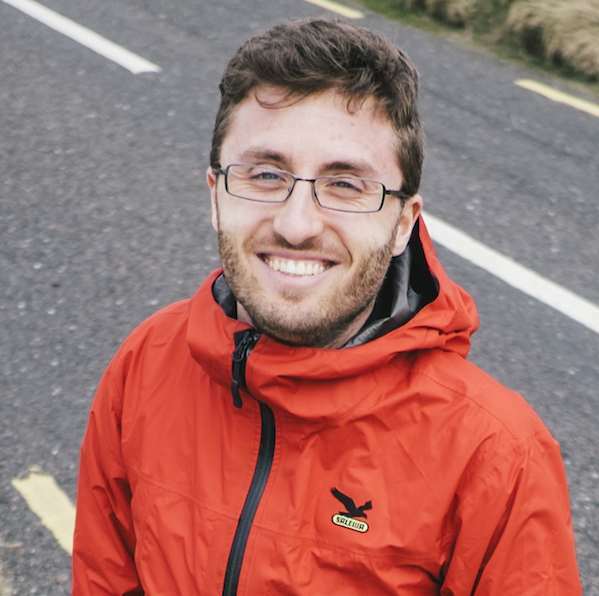 I am research scientist at Accenture Labs Dublin. I work with knowledge graphs applications, machine learning for graphs, and explainable AI. Former Fujitsu, Inria, and Telecom Italia. AmpliGraph is a suite of neural machine learning models for relational Learning, a branch of machine learning that deals with supervised learning on knowledge graphs. Snapshot of XAI to date, with a focus on machine learning and symbolic AI. XAI in real-world and large-scale applications. State-of-the-art techniques and best practices. A traffic analytics platform for servers that publish Linked Data. A service that mines access logs of registered Linked Data servers and extracts Linked Data-specific traffic metrics providing insights not available in traditional web analytics tools. PRISSMA is a Linked Data rendering engine that selects the most appropriate RDF presentation according to mobile context, using graph edit distance to compute error-tolerant subgraph isomorphisms between context graphs. Shi3ld is an access control (authorization) module for triple stores. Shi3ld protects SPARQL queries and HTTP operations on Linked Data. An annotated RDF dataset polluted by syntethic malicious triples. Useful to train and test Linked Data spam filters. Designed and applied knowledge graph embedding models in various industry scenarios. Designed and experiment Explainable AI techniques in industrial and academic settings. Designed and applied scalable embedding models for knowledge graph completion in various industry scenarios. Designed a scalable HBase-backed traffic analytics platform for Linked Data. Conceived a supervised anti-spam filter for knowledge graphs. Designed and developed a query mediator for polyglot and distributed data tiers. PhD Thesis: "Context-Aware Access Control and Presentation of Linked Data". Co-supervised by Fabien Gandon and Ivan Herman. Designed a context-aware access control framework for triple stores. Adapted an $O(n)$ with $n$ compared graphs error-tolerant matching algorithm to RDF. Designed a presentation layer for RDF that adapts rendering to mobile context. Maintained production backend Java code base at Amadeus S.A. Collaborated with product managers, UX specialists, and QA. Cluster analysis on mobile users location data to summarize mobility patterns and predict habits. Designed and implemented back end Java infrastructure for location-based mobile services. Collaborated in mining user-generated content on mobile users photo-sharing portal. Applied off-the-shelf topic modeling algorithms to extract tags from user-generated content. P. Minervini, L. Costabello, E. Munoz, V. Novacek and P.Y Vandenbussche Regularizing Knowledge Graph Embeddings via Equivalence and Inversion Axioms. ECML PKDD, 2017. L. Costabello, P.Y Vandenbussche, G. Shukair, C. Deliot, and N. Wilson: Traffic Analytics for Linked Data Publishers. 14th Extended Semantic Web Conference (ESWC), 2017. L. Costabello. Error-Tolerant RDF Subgraph Matching for Adaptive Presentation of Linked Data on Mobile. 11th Extended Semantic Web Conference (ESWC), 2014. L. Costabello, S. Villata. O. Rodriguez-Rocha and F. Gandon. Access Control for HTTP Operations on Linked Data. 10th Extended Semantic Web Conference (ESWC), 2013. L. Costabello, S. Villata and F. Gandon. Context-Aware Access Control for RDF Graph Stores. 20th European Conference on Artificial Intelligence (ECAI 2012), 2012. L. Costabello and F. Gandon. Context-Aware Presentation of Linked Data on Mobile. International Journal On Semantic Web and Information Systems (IJSWIS), Vol. 10(4), 2014. S. Villata, L. Costabello, N. Delaforge and F. Gandon. A Social Semantic Web Access Control Model. Journal on Data Semantics (JoDS), Vol. 2(1) Springer, 2013. P. Falcarin, O. Rodriguez-Rocha, L. Costabello, and L.W. Goix. Leveraging Context for Social Media Mobile Services. IEEE Pervasive Computing, Vol. 7 (4), Work-in-Progress section, 2008. S. Villata, L. Costabello, F. Gandon, C. Faron-Zucker, M. Buffa. Social Semantic Network-based Access Control. Chapter in Security and Privacy Preserving in Social Networks, Series: Lecture Notes in Social Networks. Chbeir, Richard and Al Bouna, Bechara (Eds. ), Springer, 2013. L. Costabello. Context-Aware Access Control and Presentation for Linked Data, PhD Thesis, 2013. L. Costabello, P.Y Vandenbussche, G. Shukair, C. Deliot, and N. Wilson: Access Logs Don't Lie: Towards Traffic Analytics for Linked Data Publishers. ISWC, Demo session, 2016. L. Costabello, F. Gandon. Error-Tolerant RDF Subgraph Matching for Adaptive Presentation of Linked Data on Mobile. WWW, Poster session, 2014. L. Costabello, S. Villata, I. Vagliano, and F. Gandon. Assisted Policy Management for SPARQL Endpoints Access Control. 12th International Semantic Web Conference (ISWC), Demo session, 2013. L. Costabello, S. Villata, N. Delaforge and F. Gandon. 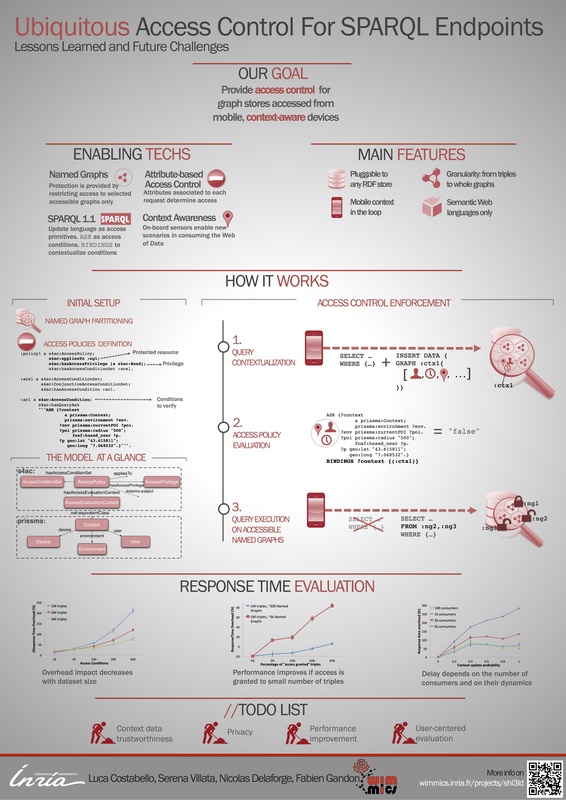 SHI3LD: an Access Control Framework for the Mobile Web of Data. 23rd ACM Conference on Hypertext and Social Media (HYPERTEXT 2012), Poster Session, 2012. L. Costabello, S. Villata, N. Delaforge and F. Gandon. Ubiquitous Access Control for SPARQL Endpoints: Lessons Learned and Future Challenges. WWW, Poster session, 2012. L. Costabello. 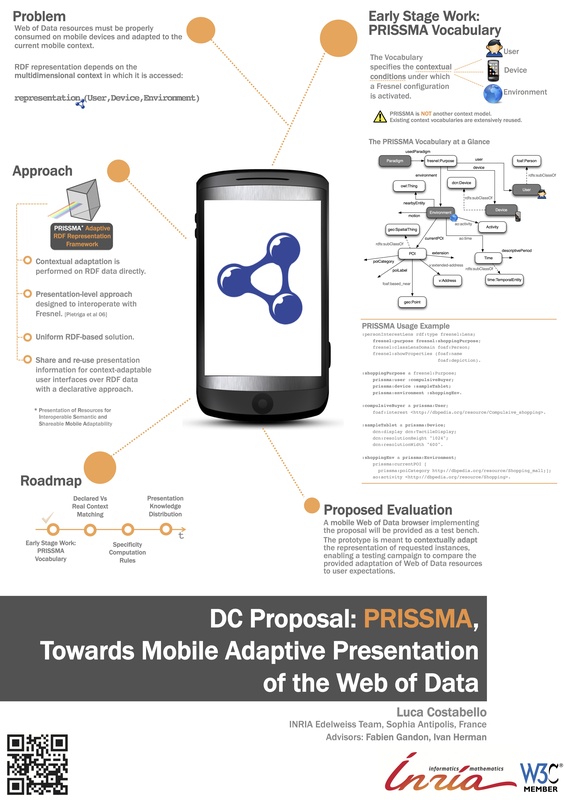 PRISSMA, Towards Mobile Adaptive Presentation of the Web of Data. Doctoral Consortium of the 10th International Semantic Web Conference, ISWC, Bonn, 2011. L. Costabello, O. Rodriguez Rocha and L.W. Goix. Sharing Mobile User Experiences with Context-Based Mashups. Mobiquitous, Dublin, 2008. R. Mc Grath, L. Costabello, C. Le Van, P. Sweeney, F. Kamiab, Z. Shen, F. Lecue Interpretable Credit Application Predictions With Counterfactual Explanations. Workshop on Challenges and Opportunities for AI in Financial Services: the Impact of Fairness, Explainability, Accuracy, and Privacy, NeurIPS, 2018. A.L. Gentile, M. Acosta, L. Costabello, A.G. Nuzzolese, V. Presutti, and D. Reforgiato. Conference Live: Accessible and Sociable Conference Semantic Data. Semantics, Analytics, Visualisation: Enhancing Scholarly Data Workshop (SAVE-SD), WWW, 2015. E. Muñoz, L. Costabello, and PY Vandenbussche. µRaptor: A DOM-based System with Appetite for hCard Elements. 2nd Workshop on Linked Data for Information Extraction (LD4IE), ISWC, 2014. A. Hasnain, M. Al-Bakri, L. Costabello, Z. Cong, I. Davis and T. Heath. Spamming in Linked Data. 3rd International Workshop on Consuming Linked Data (COLD2012), ISWC, 2012. L. Costabello, S. Villata, N. Delaforge and F. Gandon. Linked Data Access Goes Mobile: Context-Aware Authorization for Graph Stores. 5th Linked Data on the Web Workshop (LDOW2012), WWW, 2012. L. Costabello and L.W Goix. Time-Based Cluster Analysis for Automatic Blog Generation. Workshop on Social Web Search and Mining - WWW, 2008.